Dr. Ronda Green holds a PhD in zoology and is an adjunct research fellow at Environmental Futures, Griffith University, an ecotour proprietor and an environmental consultant (mostly fauna surveys and advice on conservation management). Her main research involves seed dispersal by fruit-eating animals and the effects of habitat alteration. 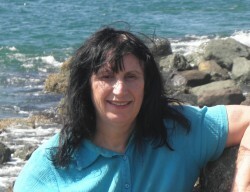 Publications and presentations by Ronda can be viewed at http://www.learnaboutwildlife.com/Ronda_Green.html. She has been involved in wildlife tourism for several decades, including running her company ‘Araucaria Ecotours’ which specialises in wildlife tours from Brisbane. She is developing the Scenic Rim Wildlife Information Centre, powered by photovoltaic cells, on her family property near Rathdowney, South East Queensland, and nature trails emanating from this, and has published a handbook of wildlife tourism for guides, students and business start-ups, and has authored and co-authored several research reports for Sustainable Tourism CRC Griffith University (negative and positive effects of wildlife tourism on wildlife, birdwatching tourism in Australia etc.,) and initiated and run various wildlife workshops and conferences plus the 2 day Wildlife Festival in Beaudesert in 2008 She is also chair of the Scenic Rim Branch of the Wildlife Preservation Society of Queensland, and coordinates fauna surveys involving volunteers and motion-sensing cameras as well as running various workshops and other activities for Scenic Rim residents and others. She is co-editor (with Ismar de Lima) of an international book on educational, welfare and environmental aspects of wildlife tourism and was recently commissioned to present a talk on climate change and wildlife tourism at a UNWTO conference in Fiji . Maree Treadwell-Kerr has a Masters of Wildlife Management and is an executive committee member of the Australasian Bat Society Inc, a member of Australian Wildlife Management Society and Animal research group, and a state representative of Interpretation Australia. She has a background in environmental, heritage and cultural interpretation and visitor services in zoos, wildlife sanctuaries, national parks and museums, including nine years in outreach community and school programs with Ku-ring-gai Bat Conservation Society. Maree has a special interest in bats, particularly flying-foxes, and in 2012 created the annual Australasian Bat Night which she coordinates on behalf of the Australasian Bat Society (ABS), in partnership with community groups, local councils and people involved in bat conservation, interpretation and tourism. onservation effort and outcomes. Maree is also coordinating a Batty tourism project on behalf of the ABS. She is currently compiling a list of places to see bats of all sorts throughout Australia and New Zealand prior to placing these onto an interactive map on the ABS website, and is asking for information from people involved in tourism, education, research and bat care. Please send information to [email protected] Maree also has an interest in social media and its potential for education, conservation, research and tourism. Dr Aise Kim is a Senior Lecturer in Tourism Management at the University of South Australia. She completed her PhD on visitor interpretation and sustainable tourism at the University of Surrey, U.K. Her research interest areas include tourism impacts, tourist behaviours, pro-environmental behaviour, market segmentation, destination image, and tourism destination marketing. She has a distinctive track record in the field of environmental behaviour and visitor interpretation in nature-based tourism areas, publishing her research work in top-tier journals, Journal of Travel Research, Tourism Management, Journal of Ecotourism, and Tourism Geographies. Dr Kim has been actively involved in several research projects focusing on tourist behaviours and the psychological and environmental impacts of those behaviours in the field of special interest tourism, such as bird-watching tourism, fossil-based tourism, nature-based tourism, food tourism, and ecotourism. She was one of the successful applicants to the South Australian Tourism Commission and Flinders Ranges Tourism Industry Association for the project which examined the potential of nature-based tourism products for sustainable regional economic development in the Flinders Ranges region, South Australia. Her recent research work also is extended to examine a cross-cultural study on green accommodation, targeting wildlife tourists and nature-based tourists. She is keen to make a stronger connection with the industry and engage with the project which makes significant impacts on the policy development and practical implications for sustainable business development at a local, regional and national scale. Dr Simin Maleknia joined WTA in 2016 for her strong passion and interest in wildlife conservation. Simin brings her extensive experience in environmental and sustainability research along with her current research in wildlife conservation through developing tools to protect native and endangered species by identifying geographical origins of species in relation to illegal wildlife trade and trafficking. Simin co-convened the ‘Inaugural Illegal Wildlife Trafficking Workshop’ held in Sydney in June 2017, as illegal wildlife trafficking is seriously threatening fauna species around the world and in Australia. Simin also presented on her pioneering research in Australia on ‘Chemical and Elemental Profiling of Wildlife’, which follows on her presentation on ‘Exploring Forensic Tools to Identify Origins of Wildlife (Combatting Illegal Wildlife Trafficking)’ at the WTA Conference held in Adelaide in November 2016. Elleke Leurs completed the Bachelor of Business with First Class Honours at the University of Tasmania and is the Coordinator of the Tourism Research and Education Network (TRENd). Currently, Elleke follows her passions by combining wildlife and tourism as a PhD Candidate at the University of Tasmania with the focus of her research on the interagency between tourists and roadkill in Tasmania. New South Wales Greg completed a Bachelor of Science (Zoology/Earth Sciences) at Macquarie University and a Master of Science (The breeding biology, feeding ecology and diet of the Osprey Pandion haliaetus cristatus in New South Wales) and a Doctor of Philosophy (Ecology, conservation and management of the Black-necked Stork Ephippiorhynchus asiaticus australis) at the University of New England, Armidale. He has worked as an ecological consultant since 1979 after a number of years as a clerk/administrative assistant in the NSW public service. During this time he has also worked as a ranger, a seasonal ranger and now a discovery ranger with the NSW National Parks & Wildlife Service (Office of Environment and Heritage). The seasonal and discovery ranger work has provided Greg with experience in the interpretation of the flora and fauna of local national parks and his vast experience in ecological consulting allows this interpretation to be science based. He also worked as a fauna consultant on the North-east Forest Biodiversity Surveys, the Rainforest Surveys, the Natural Resource Audit Council surveys, the Joint-Old Growth Surveys and the surveys for the Comprehensive Regional Assessment of Forests in NSW all carried out during the early to mid 1990s. 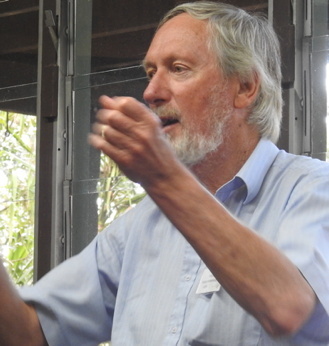 Peter has published over 50 papers in refereed journals, mostly on birds. Greg has long wanted to carry out wildlife tours and in 2013 set up his tour and guiding business ‘Greg Clancy Ecologist and birding-wildlife Guide’ based in the Clarence Valley at Coutts Crossing, near Grafton, and runs tours on demand from Grafton, Coffs Harbour and Yamba. Sera is the owner and sole operator of Aussie Walks and Wonders, a hiking focused adventure tourism business that tailors experiences to small groups of 6 persons or less in Far North Queensland. Sera holds a degree in Biology and Psychology with an Ethology focus from Texas State University and is currently working on her masters in Zoology and Ecology from James Cook University. Her interests include bats and crocodiles and she participates in research on both. She is currently a community representative for the Cairns Regional Council’s Flying Fox Advisory Committee and is Secretary of the Bats and Trees Society of Cairns (BATSOC) as well as treasurer for North Queensland Crocodile Protection Society. Sera is promoting bats and tourism using a model developed by Bat Conservation International in her home state of Texas. Sera believes strongly that the most effective conservation efforts, aside from legislative change, are ecotourism opportunities and community engagement which is why she is excited to be a part of Wildlife Tourism Australia and support its goals. Bill Spence works for the WA State Government in Perth and is a member of the board of the Jaycees Community Foundation, which runs the Historic Whaling Station at Discovery Bay in Albany WA. This major tourist and education facility also operates a biodiversity park and Australian wildlife park. He has a degree in geography and a post graduate diploma in Environmental Management. Darren has grown up in a rainforest property with platypus and other wildlife as well as goats, dogs, horses and other animals, and involved in fauna surveys since the age of 8, and is a keen wildlife photographer and experienced amateur naturalist. He has been a wildlife tour guide for Araucaria Ecotours since 2001 He has studied Mandarin, Spanish, music and theatre at Griffith University and has traveled in wildlife-rich areas of Queensland, NSW, Northern Territory, South Australia, ACT and Tasmania. He has been Wildlife Tourism Australia’s main audiovisual volunteer at conferences and workshops since 2008. He was secretary of the Lamington Natural History Association for several years, and is currently treasurer of the Scenic Rim branch of the Wildlife Preservation society of Queensland. He has played piano at several public functions, including at the start one year of the annual historical Indigenous event the Drumley Walk (in which he has also walked).